I was a fan of Dôen long before the big move to LA, so getting the chance to attend their in-person pop ups here has been such a treat. I bought this gorgeous SS17 dress + a great pair of striped coveralls at their end of summer sample sale a couple weeks ago. 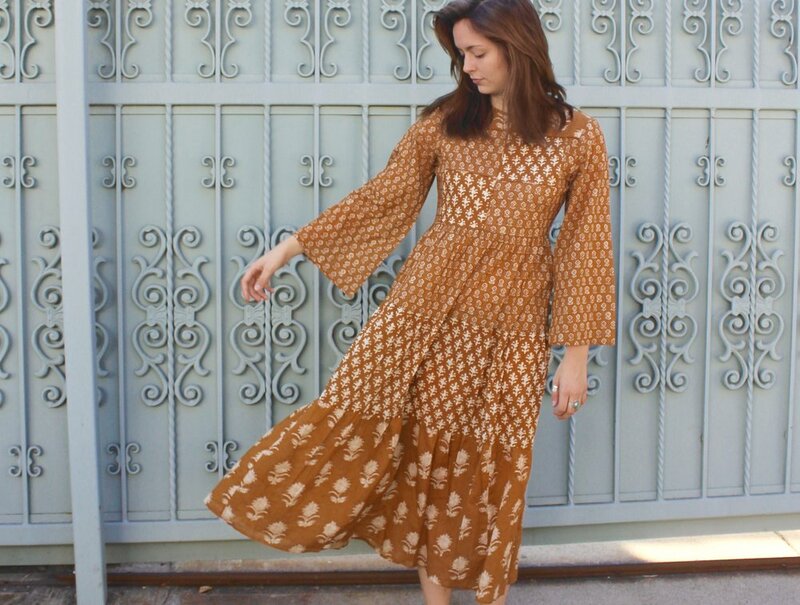 Dôen is exactly the type of vintage-inspired, slow fashion LA brand that motivated my cross-country move. Along with boutiques like Midland and bigger brands like Reformation (who they're doing a sweater collab with this fall). They embody an alluring combination of timeless beauty and good intention. Whether it's in their domestic or international production facilities, they're committed to employing skilled artisans and empowering women in business, both of which I really believe in. Who doesn't? 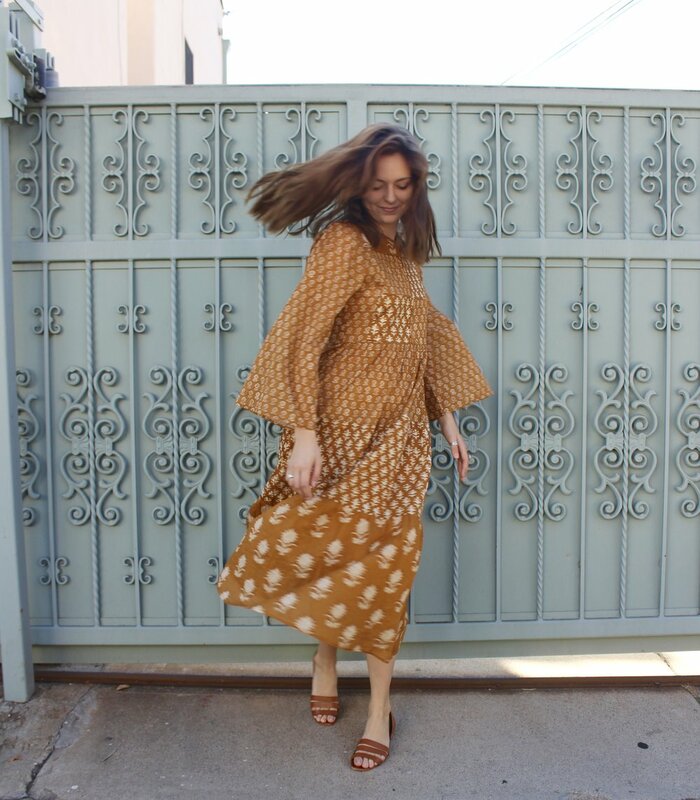 If their price point is a bit steep for you and you're not in LA to attend their insane sample sales, I've definitely hunted down some good thrift finds with a similar prairie girl aesthetic. You can also sometimes find their items for resale on Instagram accounts like the Noihsaf Bazaar (fun side notes: Noishaf is just fashion spelled backwards, which I think is fun... plus their vintage and home accounts are also killer).